The 2017 NBA All-Star Game will kick off with a blast from the past. Prior to the introductions of the All-Star East and West teams on Sunday, Feb. 19 in New Orleans’ Smoothie King Center, The Roots will orchestrate an NBA-themed musical titled The Evolution of Greatness, which will feature contributions from DJ Jazzy Jeff, Darryl “DMC” McDaniels of legendary hip-hop group Run-D.M.C., Jidenna, Hamilton star Daveed Diggs and actor Michael B. Jordan. The production is set to take viewers through each generation of the NBA, from the 1950s to the present. 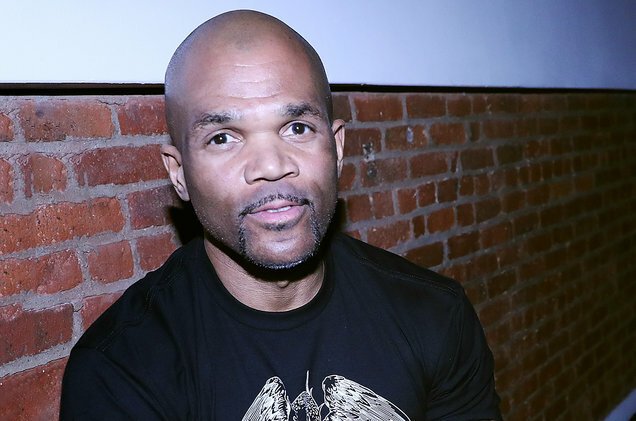 Twenty-four hours before his rehearsal with the talented crew, the Queens-bred rap icon hopped on the phone with Billboard to discuss his involvement in the show, the connection between basketball and hip-hop, how Run-D.M.C. could have convinced Michael Jordan to team with Adidas over Nike, as well as his love for Chicago upstart Chance The Rapper. The NBA All-Star Game begins at 8 p.m. EST on Sunday, Feb. 19 on TNT. You are working on The Roots’ NBA-themed musical The Evolution of Greatness. How did that production come together? I got a call from The Roots, and they wanted to do something that was gonna be educational. With sports or music — it could be anything nowadays, for some reason — the current generation has no idea of the people before them, and that applies especially to hip-hop. I guess for the last 20 years, it’s been happening with sports. Everyone’s so caught up on who’s on the radio, TV or court now, who’s on the TV now. They wanted to do something that wasn’t just based on the entertainment value. While you’re entertaining people, you should be able to educate, inspire, motivate and teach, which is the basis of hip-hop. DJ Jazzy Jeff, Michael B. Jordan and others are also contributing to the show. The coolest thing is that when [The Roots] said Michael B. Jordan, I was like the “great actor dude?” Tariq was like, “Yeah, he gon’ be rhyming. He gon’ be spitting.” I won’t put it past [Jordan], because he’s so good when he plays his roles. I’m really excited to see that.